The Kemper County, Mississippi, project will run on natural gas, not coal. But problems there do not mean that carbon capture and storage is a dead end. 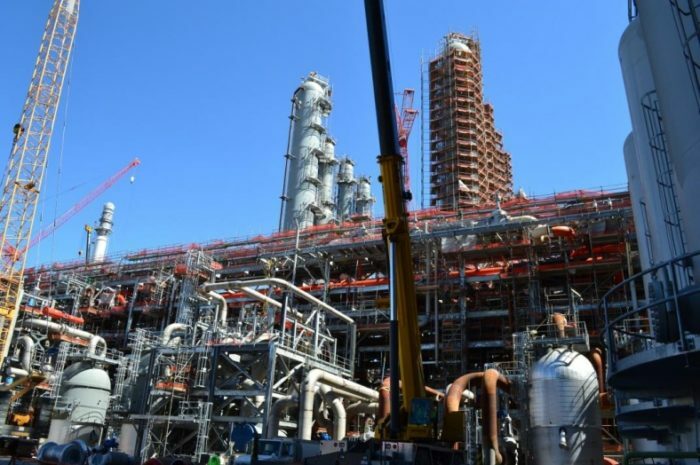 After almost seven years of design and construction work, and over $7 billion spent, the much-publicized Kemper County coal gasification power plant will now run on natural gas without capturing any carbon. Does this mean carbon capture and storage (CCS) for power plants is not ready for prime time? A quick review of the facts shows the answer is no. The facts establish two things. First, the problems with the Kemper project have nothing to do with capturing CO2 from power plants. Second, other projects demonstrate that it is feasible to build CCS installations at commercial coal plants, on time and on budget. You can actually visit several successful projects around the globe that are operating and demonstrating beyond doubt that carbon capture technology at large sources works. Carbon capture and storage (CCS) is a set of technologies that removes CO2 from large sources such as power plants, refineries, and cement, chemical and ethanol production facilities, and allows it to be compressed and injected in geologic formations where it will remain permanently trapped. There are three steps to CCS: capture, transportation and storage. The storage is the step that determines the long term fate of the CO2, and requires attention to pick the correct sites and operate them well. Transporting CO2 in pipelines is a mature technology and practice, with more than 4,500 miles of CO2 pipeline in the U.S. today. The capture, however, is almost always the most technologically complex and costly step. A gasifier supplies heat under pressure in the presence of steam and air or pure oxygen. Solid coal is turned into a gas called “syngas” (synthesis gas), which consists primarily of hydrogen and carbon monoxide. The hydrogen can be used as fuel for turbines to generate carbon-free power, while the carbon monoxide can be “shifted” to carbon dioxide which is then captured, transported, and injected underground. Commercial gasification systems have been in operation at industrial facilities for decades. Why go through all these added steps in gasification? Until fairly recently, the first approach — using a CO2 scrubber at the tail end of a conventional power plant — seemed more expensive due to high energy penalties and other factors. Today, the technology to scrub CO2 from the stack has matured to the point where several companies are offering commercial warranties, and full-scale commercial coal plants are using them. So there is no inherent advantage to gasification any more, except if you seek to commercialize your own gasifier technology and sell it more broadly for production of chemicals, for example. That was Southern Company’s strategy with Kemper. It proved to be an overly ambitious one. What was responsible for this spectacular turn of events and the collapse of this much-publicized project? There are a number of factors, it seems, that have to do with unrealistic ambition, breach of standard project management practice and protocol, and faulty housekeeping. An independent company conducted a “Prudency Evaluation Report” for the Mississippi Public Service Commission, and the document reveals in some detail what went wrong. First and foremost, the project was unrealistically ambitious. Kemper was an attempt to scale up and commercialize a new gasification technology: the TRIG (Transport Integrated Gasification) technology. The technology was developed by the KBR Company and Southern Company, with assistance from the Department of Energy. The predecessor demonstration project for this novel system was only 7 megawatts in size. Going to 582 MW for the full-size plant as Southern did is a very ambitious scale-up endeavor, which breaks cleanly from standard engineering practice. And Southern was not able to do this successfully. Second, the company brushed aside common project management practice in order to avoid losing a federal tax credit ($133 million 48A Phase I Investment Tax Credit established by the Energy Policy Act of 2005) that required a commercial operations date no later than May 11, 2014. Instead of moving the date, as a project this complex dictated, the company decided to proceed with engineering, procurement, and construction in parallel, in what team members dubbed a “compressed schedule.” This essentially meant the company was designing at the same time as it was building, which of course left it highly vulnerable to both engineering failures and cost overruns. Third, the company overlooked potentially valuable lessons from another gasification facility built by Duke Energy at Edwardsport, Indiana. The actual nature of the information is concealed in the text of the report, presumably for confidentiality reasons. Fourth, even though the company used specialized industry scheduling software, it decided to “manually resource load (i.e. 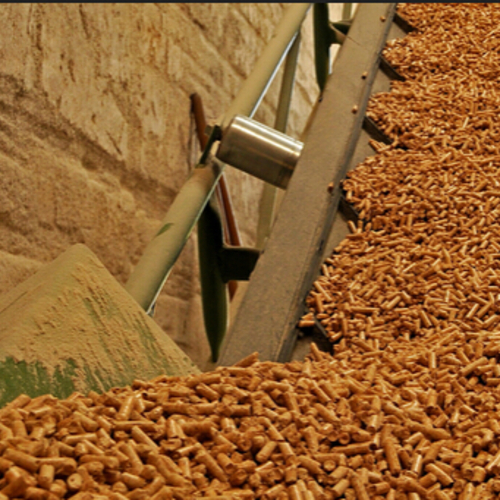 construction labor and bulk commodity amounts) using a stand-alone spreadsheet.” This contributed to the now infamous cost overruns, as the team was unable to see and track the growth in commodity requirements. The company was sailing uncharted waters; but it is important to realize that it didn’t have to. First-of-a-kind plants carry a significantly higher risk factor for developers, and this case was no exception. However, several manufacturers have had commercial, off-the-shelf offerings for gasifiers on the market for years now, with accompanying performance warranties. Southern chose to pass on those, and to embark on the far more ambitious journey of commercializing their own, presumably with future business opportunities in mind. The key fact to emphasize is that the Kemper project failure is not due to any problem with the equipment required to capture CO2. All of the problems are due to the system components upstream of the capture stage. Other projects demonstrate that capturing CO2 from coal plants is indeed feasible. Two companies are now operating coal plant units with CCS in North America, using technology that removes carbon dioxide from the tail end of the conventional power generation process using chemical scrubbers rather than resorting to gasification. The first of these projects is the Boundary Dam project operated by SaskPower in Saskatchewan. It was a retrofit and concurrent expansion and modernization of an existing coal plant unit, and began operations in October 2014. The 120 MW project can capture up to 90% of the unit’s CO2 and was completed in a timely fashion with minimal cost overruns. The total cost for the retrofit was approximately $1.5 billion, of which $800 million was for the CCS process, and the remaining $500 million for retrofit costs. There was some debate surrounding the availability of the unit and its peak CO2 capture performance, which were lower on occasion during the first few months of operation. This can be chalked up to routine start-up issues that are inherent in any new unit’s operations. Today, the unit is consistently achieving or exceeding its design specifications and by May 2017 had captured approximately 1,579,000 tons of CO2 since it began operations. Saskpower publishes a monthly performance update for the unit. The second of these projects is the W. A. Parish project in Texas, operated by Petra Nova, a joint venture between NRG and JX Nippon Oil & Gas Exploration. This is also a retrofit of an existing coal plant and is twice the size of Boundary Dam. It captures 90% of the CO2 from a 240 MW flue gas stream at a rate of about 1.6 million tons per year. The Petra Nova project came online in late 2016, on budget and on schedule, at a cost of approximately $1 billion. In late July, 2017, the people closest to the project were reporting “so far, so good,” with the plant capturing about 94% of the CO2 it processes and more than 700,000 tons of CO2 captured in total since commencement of operations. So, there are lessons to be drawn from the Kemper project experience. Kemper tells us that scaling up a novel gasification approach from a very small demonstration project to a very large commercial unit is very risky. The project also reminds us that there is no substitute for solid project planning and execution. But the conclusion is not that CCS is a flop. David Hawkins is director of the climate program at the Natural Resources Defense Council. George Peridas is a senior scientist in the NRDC’s climate and clean air program. This post originally appeared at the NRDC’s Expert Blog. How much does CCS cost? Isn't the issue economic feasibility? It takes a pile of money and energy to capture CO2 and more money to transport it to wherever it will be sequestered or used for enhanced oil recovery. This article doesn't tell us whether the existing technology makes economic sense. Since coal fired power plants are closing left and right, maybe the owners have done the math and it doesn't work. Unless "clean coal" is cheaper than solar, wind, or even natural gas, what's the point? That's if it's coal. More like 10-11 cents/kwh if applied to combined cycle gas. The $/kwh adder for coal is comparale to (a bit higher, actually) than the un-subsidised levelized cost of small scale rooftop PV. The $/kwh adder for cc gas is more than 50% more the levelized cost of utility scale PV, and a multiple of the unsubsidized cost of utility scale wind power. So it's not outlandishly out of scale in cost compared to other carbon abatement approaches- it's the same order of magnitude, but it's not competitive without subsidy. There may be a learning curve as the equipment's production volumes increase, but the limit of production volumes is still very low- it's learning curve will never look like those for mass produced commodities such as cell phones, computer chips, or PV panels. Given that even existing coal plants are not cost-competitive under US electricity market structures even without CCS, it's unlikely to be economic as a retrofit without a VERY significant subsidy. Even at half the estimated costs it's unlikely to be cost competitive over the longer term even for cc gas without subsidy. Kemper is an extreme outlier in terms of ridiculously high cost, and can't be used as a paradigm example of either the technical or financial success (or lack thereof). But that doesn't mean CCS will be financially viable any time soon. What about Climeworks in Switzerland? It's capturing CO2, and it claims to be commercial. Is that even the same product category? It sounds like Climeworks has nothing to do with power plant emissions. 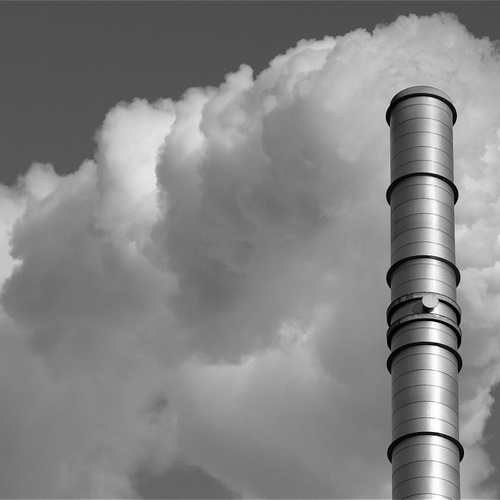 The Climeworks process removes CO2 directly from the air (rather than from a smokestack). Since the Climeworks process needs low-grade heat to operate, it is likely that any Climeworks facility would be located near a source of low-grade heat (often, coincidentally, a power plant). "...allows it to be compressed and injected in geologic formations where it will remain permanently trapped." I can't address all the cost factors in the remarks above; and I don't know anything about the techniques to inject CO2 into geologic formations but having lived a life and viewed large numbers of significant engineering failures, I am highly suspicious of that term "Permanently". I have virtually no faith that the CO2 injected in those geologic formations will stay there. For a while... for a long while maybe, but not forever. CO2 injected into basalt converts into very stable carbonates within a couple of years. Two important underpinnings of government efforts to reduce carbon emissions and head off climate change aren't looking like such good bets after all.